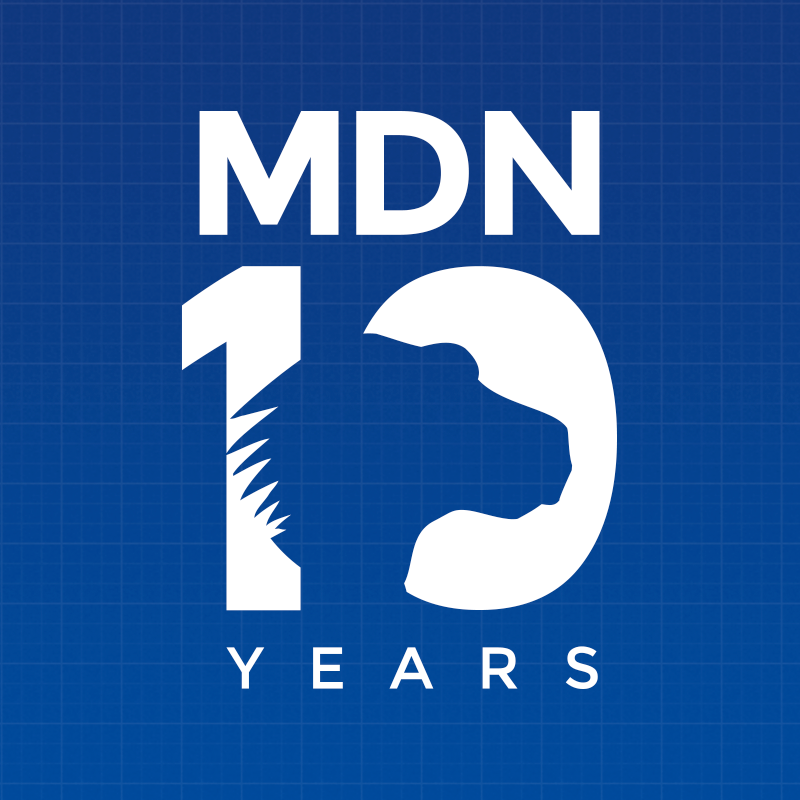 This week marks the tenth anniversary of Mozilla Developer Network (MDN) as a wiki. This post offers a deep dive into where MDN came from, how it has evolved in various ways, and where it may be going. For many web developers, MDN is the reference manual for the Web, the place they go to look up or learn about open web technologies. MDN offers much more than that. It is a resource for learning about the Web, and a place for developers to share their skills and knowledge. MDN’s strength lies in its openness, where anybody can help make the resources incrementally better, or substantially better. MDN can also encourage the growth of web technologies into new spaces from where they’ve been in the past. MDN is a community of programmers, writers, and localizers. A few of these are paid staff of Mozilla, but they are a subset of the larger community of people who make small or large contributions. One of the coolest things for those who contribute to MDN is that every time we talk to developers, they tell us how much they love MDN. It’s not, “Oh MDN is kind of cool,” or “It’s great.” The response is: “I love MDN. It’s the best resource out there.” It’s tremendously gratifying to feel that you are part of something that people really love. The site that became MDN, developer.mozilla.org or “Devmo,” started as a redirect to a developer-oriented page on the main mozilla.org site. Later that content was moved over to Devmo; it contained primarily information for developers contributing to the Mozilla codebase. Mitchell Baker (Chair of Mozilla) and others from Mozilla worked out an arrangement with AOL to release the DevEdge content, which she announced in February 2005. At the same time, Deb Richardson was hired to migrate and curate the DevEdge content into Devmo. Mitchell and Deb made the decision to put the content into a wiki, to enable open contributions to maintain and update the content. Previously, the DevEdge content was in a CVS source control system, and published as a static site. Using a wiki for documentation was a novel concept at the time, and it took a while for some core developers within the Mozilla project to warm to this way of working. However, others quickly embraced the idea, and the many of the earliest contributors to the Devmo wiki were developers who were active elsewhere in the Mozilla project. Deb and some volunteers spent a few months mining and migrating the still-useful content from DevEdge, working on a test server. This effort was still in progress when the content was migrated to the Devmo site, now titled “Mozilla Developer Center” or “MDC” in July 2005. We mark this as the starting point of what we now call Mozilla Developer Network. MDN has lived on three different wiki platforms in the course of its history: first MediaWiki, then MindTouch DekiWiki, and now Kuma, a Mozilla-developed platform. Looking at the technical infrastructure is interesting not just from a technical point of view, but also because technology influences social structures like community. The wiki platform used for the first iteration of MDC was MediaWiki, the open source software that underlies Wikipedia. It was the most robust and widely-used wiki at the time. The Devmo project began to discover that software designed for writing a general-purpose encyclopedia was not necessarily ideal for writing developer-oriented technical documentation. For example, it did not handle code examples well, reformatting them to be unreadable. Mozilla tried to fix such issues by creating its own fork of MediaWiki, which then ended up being quite difficult to maintain. On the level of contributions, using MediaWiki was initially an advantage, because many technical people were already familiar with how to use it. However, the project eventually reached a plateau, where it became difficult to keep contributors coming back. This, combined with the technical quirks, led to a search for a more user-friendly platform. After an evaluation process that looked at all the wiki products available on the market (not just open source ones), the choice was made of DekiWiki by MindTouch. One advantage of DekiWiki was that the source format for articles was HTML, rather than wiki markup. It seemed a logical choice for a site targeting web developers, to have the source format be a standard web language. This required migrating all of the content from MediaWiki markup format to HTML, which was a major migration project. The choice of DekiWiki was announced in November 2007, and the site switched to it in August 2008. While DekiWiki was a quality product, one way that the selection process was flawed was that it did not include a major group of stakeholders: volunteers who contributed to the site. The rate of contribution nose-dived, because the platform was not embraced by the contributor community. In particular, localization communities, who translated the content into various languages other than English, were severely disrupted. They had built tools and processes around working with MediaWiki, and these tools didn’t work with DekiWiki. After a few months, many of these groups simply disbanded and decided not to contribute any more, with the result that translated documentation started to become stale, and became more and more out of date over time. DekiWiki was also written in C#, and designed to run in a Microsoft .NET environment. This was a mismatch with Mozilla’s technical infrastructure, which is Linux-based. Trying to run DekiWiki on Mono led to a great deal of instability, with the site being down for days and weeks at times. These issues, after a couple of years, led to looking for another solution. The best candidates on the market were still MediaWiki and DekiWiki. Now that the content was all written in HTML, migrating back to MediaWiki markup syntax was not feasible. No product seemed suited to the specific needs of an open developer documentation site, so Mozilla decided to create its own. The goal when launching the Kuma platform was to achieve feature parity with the DekiWiki implementation of MDN. The content was migrated to the new system, and changes from the production server were periodically updated on the Kuma staging server. Thus, the Kuma instance was kept in sync with the production DekiWiki server. While the months leading up to the launch of Kuma were involved a great deal of migration work, the actual launch was very smooth. A routing switch was flipped, and traffic shifted to the new site seamlessly, without even disrupting login sessions. From the beginning, the community for the DevMo site grew organically, starting with contributors who were already active in other parts of the Mozilla project. Like other areas of Mozilla, communication happens through a mailing list and IRC chat channel. By mid-2007, contributions were typically 250 per month. As mentioned before, the migration to Dekiwiki led to a dramatic drop-off in localization contribution, and total contribution declined as well. As part of an effort to engage the community more actively, I (Janet Swisher) was hired as a staff technical writer in mid-2010. I brought experience with open source developer documentation, and in particular, experience with the “book sprints” methodology used by the FLOSS Manuals project to produce manuals for free software in five days or less. 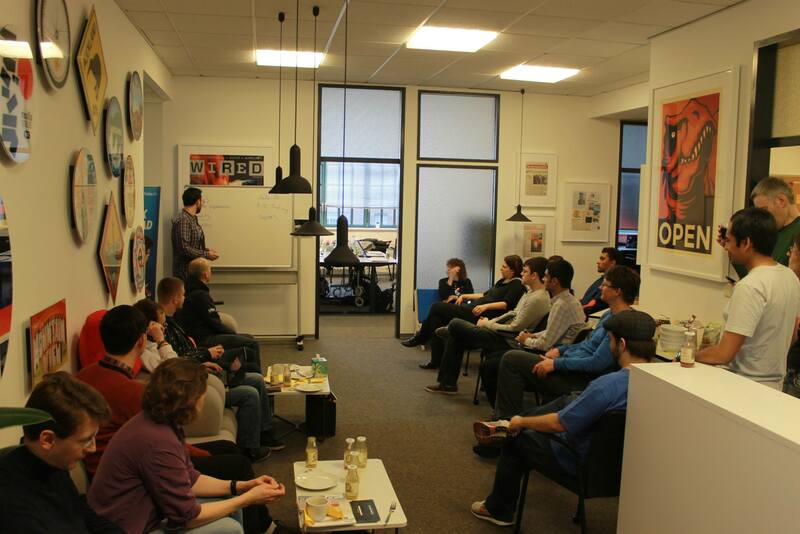 The first MDN “doc sprint” took place in October 2010, in the Mozilla Paris office. Doc sprints bring together a number of MDN contributors, either physically or virtually, for focussed, collaborative work, typically over a weekend. These were held about once a quarter for about three years. More recently, they have evolved into less frequent but broader “Hack on MDN” events, whose scope includes hacking on the platform or tools, as well as on content, to make them more attractive to developers. In addition, the MDN community holds a number of regular online meetings, both for general information, and for tracking specific projects. These community activities, as well as the migration to Kuma in 2012, have led to a significant increase in contributions, now around 1000 per month. In the beginning, the DevMo site was known as “Mozilla Developer Center.” At first, it simply sported that title, with a simple skin on MediaWiki. With the move to DekiWiki, the word “Mozilla” became the Mozilla wordmark, followed by “<developer center/>”, to convey slightly more webbiness. In September 2010, the name of the site was changed from “Mozilla Developer Center” to “Mozilla Developer Network” or MDN. This change was met with some skepticism from the developer audience at the time, though by now they simply accept MDN as MDN. The visual design of the site changed at the same time, to a darker theme, and MDN acquired a logo, the “robot dino,” which it had never had before. Along with these visual changes, features were added to the site to broaden its scope beyond just documentation. One successful feature is known as “Demo Studio”, an area where developers can upload code demos, share them, and show them off. When MDN migrated from DekiWiki to Kuma, the visual appearance was preserved, so there was very little visual difference between the pre- and post-migration sites. After six to eight months of bug-fixing on Kuma, a project was started to change not only the visual design, but also the content structure. These changes were rolled out using feature flags, to users who chose to be beta testers. Thus, while most users continued to see the old design, while beta testers saw and tested the new visuals and structure. “Launch day” for the redesign consisted of simply flipping a switch in the database to make the new features visible to everybody. The redesign brought not only a new logo, the dino-head-map that we see today, but also structural features like the navigation sidebar, which varies depending on which content area an article is in. In localized pages, items in the sidebar that are not yet translated link to their English versions, and show an invitation to translate them. We mark the start of MDN “as we know it” from the acquisition and republication of the Netscape DevEdge content in 2005. But in the early days, the content was very slanted toward Mozilla products and technology. Not only was there documentation of XUL and internal Mozilla APIs (which are still there), but documentation of web technologies tended to be focused on Mozilla and Firefox, for example, with big banners like “works in Firefox 2.0” or explanations of Gecko’s support of a feature in the middle of an otherwise neutral article. As Mozilla began engaging more actively with the MDN community in 2010, community members began to express a vision of MDN as a vendor-neutral resource for web developers, whatever browsers they are targeting. Adopting this as a strategy required a lot of clean-up effort to remove Firefox-specific content from articles about web standards, and to create the compatibility tables that exist now, with information about all major browsers. Not coincidentally, as the content on MDN became more browser-agnostic, MDN started seeing contributions from other organizations. Two current projects on MDN are having a major impact on the shape of MDN in the near to medium term: the Learning area, and the compatibility data project. MDN’s information about web technologies has long been a resource for experienced web developers. But it has poorly supported beginners to web development. The aim of the Learning area is to change that by offering tutorials and other resources to people who want to teach themselves about web development. This effort is happening in response to surveys we’ve done of our audience, who reported basic learning material as a significant gap. The Learning area project has been underway for about a year, and in that time has created a large Glossary about web technology concepts, and a number of new tutorials, corresponding to the Web Literacy Map developed by the Mozilla Foundation. The Learning area is a great opportunity to get started in contributing to MDN, since learners and teachers are as needed as technical experts. Currently, data on MDN about browsers’ compatibility with web technology features is maintained in tables on the relevant pages. The data is pretty good, thanks to many, many crowd-sourced contributions. But this approach is not very sustainable or maintainable; for example, every table must be replicated on all localized versions of the page. The compatibility data project aims to improve the quality of the data, make data contribution easier, make access to the data easier, and allow reuse of the data, through a centralized data store. This project is action-driven rather than time-bound; contributions and involvement are welcome. MDN as it exists today is quite different from its beginnings ten years ago. The Web has evolved, Mozilla has evolved, and MDN has evolved. We can expect even greater changes in the next ten years. Perhaps the vision of a direct brain interface to virtual reality “cyberspace” will finally come to pass. We know for sure there will be many more web developers, many more types of devices, and many standards that are not yet written. Some things won’t change: Mozilla’s mission will continue to be to work towards an Internet that is a global public resource, open and accessible for all. MDN will continue to be a means towards that mission, by providing resources to enable anyone to become a creator of the Web, and to develop on the Web as a primary platform. MDN’s content, no matter how it’s delivered, will continue to be contributed by a global community of people who are passionate about learning and sharing knowledge about the Web. This post is missing a footnote about the foundered webplatform.org. What should such a footnote say, in the context of MDN’s history? It should fit in somewhere around the question of what are we trying to tackle here, really? in the “Content Evolution” section. At the time it was announced, Mozilla was touted as something akin to a sponsor (“backer”?) of webplatform.org and is still listed as one on the homepage. Although by all appearances, it seems to be dead, or at least stagnant. Janet is the Community Lead and Project Manager for MDN Web Docs. She joined Mozilla in 2010, and has been involved in open source software since 2004 and in technical communication since the 20th century. She lives in Austin, Texas, with her husband and a standard poodle.